Echo of Soul, the upcoming free-to-play fantasy MMORPG, announced today the five main character classes coming to the game when it launches this spring. Publisher Aeria Games has updated the game’s dynamic website, EchoOfSoul.us, with in-depth descriptions of each class accompanied by stunning character art. Players can sign up for the Echo of Soul beta now. Echo of Soul’s five classes include the Warrior, a fearsome knight; the Archer, an enigmatic songbird; the Rogue, a solitary assassin; the Guardian, a nymph warden of nature and the Sorceress, a witch mastering ice and fire spells. EOS deliberately has no Healer class in order to facilitate group matching between players and to ensure fast-paced combat. To replace this traditional role, the players will need to work efficiently together and devise unique combat strategies for party play. Each class features two different specializations with specific skill paths that will dramatically alter their role in party combat. MMO players who want to take on the Nuker role can choose the Firemage Sorceress, whose mastery of fire allows her to inflict maximum damage, whereas players who prefer a support role can play as an Archer with the Bard specialization, supporting allies or weakening enemies with her melodic tunes. The variety of classes and specializations changes the core gameplay and the player’s role within their party, ensuring that everyone can play in the style they prefer. 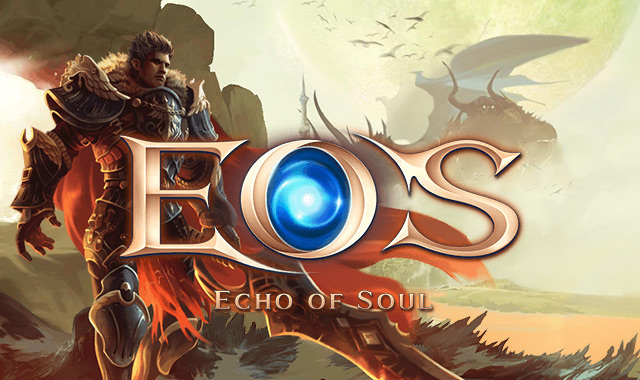 Developed by key members of the team behind the award-winning MMO Lineage II, Echo of Soul immerses players with rich visuals, an epic soundtrack, and a vast and detailed landscape. Set to launch on PC this spring, Echo of Soul will be free-to-play and free-to-download. MMO enthusiasts can register for the closed beta, participate in forums, and stay up-to-date on news surrounding the game via the official site or via Facebook, Twitter and YouTube.